Welcome to my #Day4 post of #YourTurnChallenge with Seth Godin. I was just hours from being shipped off to NYC as my base. Undoubtedly, I’d be flying international flights, primarily. Most of us newbies would. We were Pan Am Flight Attendant Class #21, and we’d just completed six weeks of “Barbie Doll Boot Camp” (well, that’s what we called it) in Miami, living out of suitcases the whole time — you know, to get the hang of it. We trained together, ate together, exercised together and qualified for our new posts together — including that huge, inflatable emergency slide. My qualification flight to Mexico City took place a few days before I would head to NYC. All I can remember was working First Class on the outbound flight – a large but mostly empty cabin upfront. Incredibly uneventful. I worked Economy on the way back — a distinct difference from the trip to Mexico’s capital. We had about 400 passengers — all hungry, probably except for the guy whose Kosher meal I forgot. Another passenger was so thirsty, I poured coffee all over his lap. Back to the night of graduation. My mom had flown in to see me off, I had done really well in training and had been promised many opportunities, and it was my turn to receive my certificate. I showed up “dead-heading” – in street clothes, rather than uniform. And I bailed. I withdrew from employment with one of the “sexiest” airlines around (no pun intended, but whatever). And it had nothing to do with the job. Over the last six weeks, I’d been running from grief. My father had died of lymphoma nine months earlier, and I now realized I hadn’t really grieved his passing or how much I missed him. Or how much my mom and I needed each other. I’d been going too fast, with multiple attempts to return to college, a big breakup and now Pan Am. 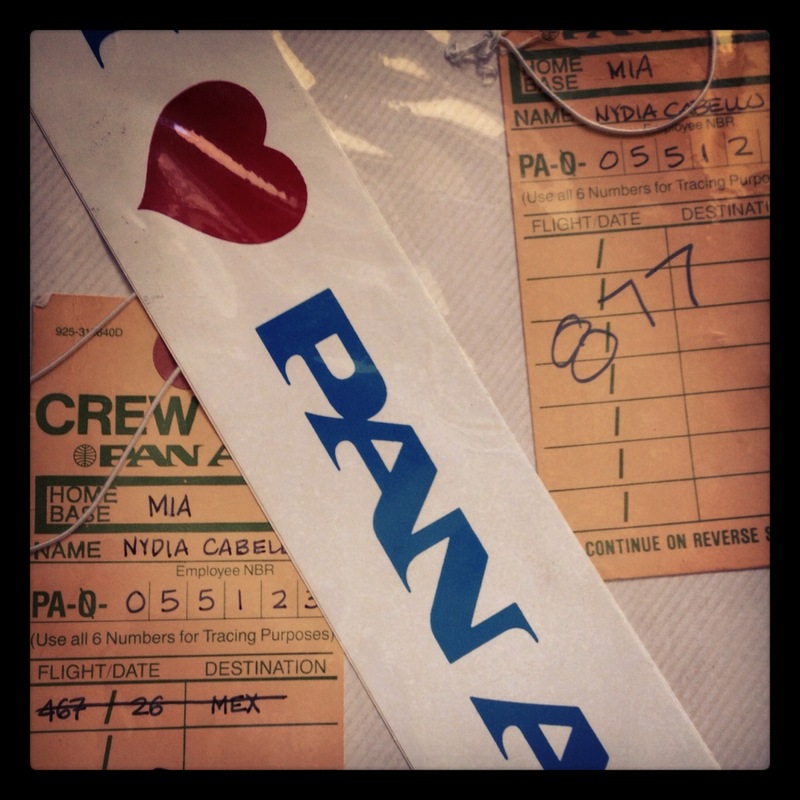 Pan Am was fun, but not all that fun when my mind was on family. It was time to go home. It’s not like I have never “what if’d” that decision, but the fantasy can’t beat my reality. My career took me around the world in a whole other context, for which I will be forever grateful and changed. And you know what? I finally learned how to live out of a suitcase.